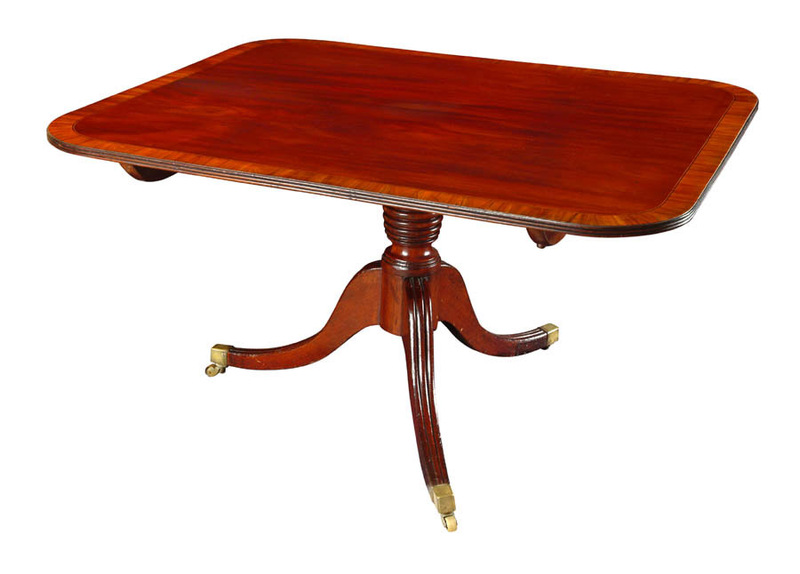 To a good quality English tilt top breakfast table of the c.1810 period. The moulded tripod base is topped with a pedestal with beehive turnings. The mahogany top is cross banded with various woods including rosewood. With repairs to two feet. The moulded legs end in old castors and wheels. The top tilts for storage in the breakfast room and this example is very useful as a table or desk.